Symbolising the collaboration between HAYCHE and Studio Makgill, the WW armchair demonstrates a bold experimentation with colour. The concept and name refer to Windsor and Wire, referencing the collection’s lines and materials. The armchair can serve as a standalone piece or as part of a set of dining chairs, and is available in a selection of six colourways. Perfected for the practice of Kneipp therapy, the Affusion pipe was designed on the basis that regular, targeted applications of water on the body can have positive effects. This influenced Dornbracht’s quest to incorporate a beneficial health and spa treatment into washroom routines. Dornbracht worked with Kneipp Spa manager Jochen Reisberger to develop the washroom product. 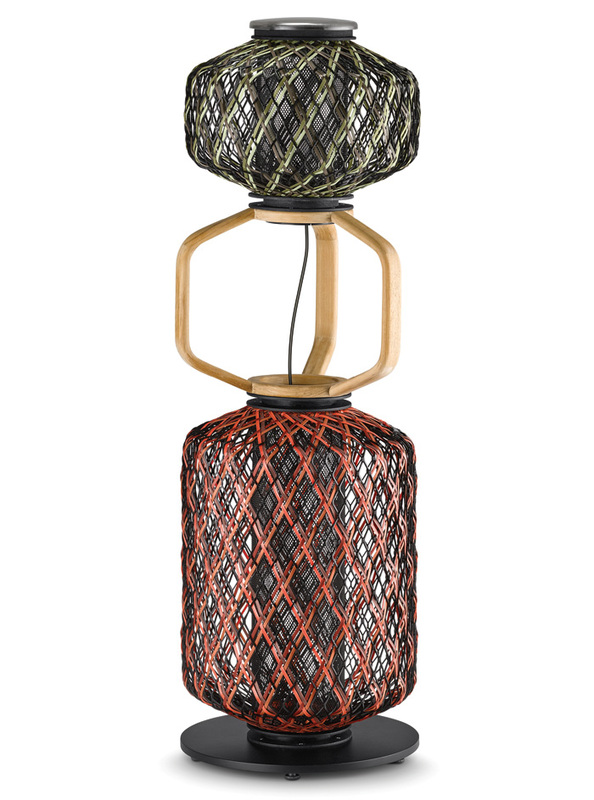 Evolving from an initial exploration into abstract figurative design, THE OTHERS collection of animated lanterns feature similar but unique woven patterns. Combining fun with function, THE OTHERS can also be stacked, and add a playful touch with the additional option of hand-crafted acrylic eyes. The lanterns also feature outdoor certified rechargeable LEDs that cast an ambient light. Inspired by each other, the partnership between Moooi x Arte for the extinct animals collection merges extravagant wallcoverings with extraordinary interior design. 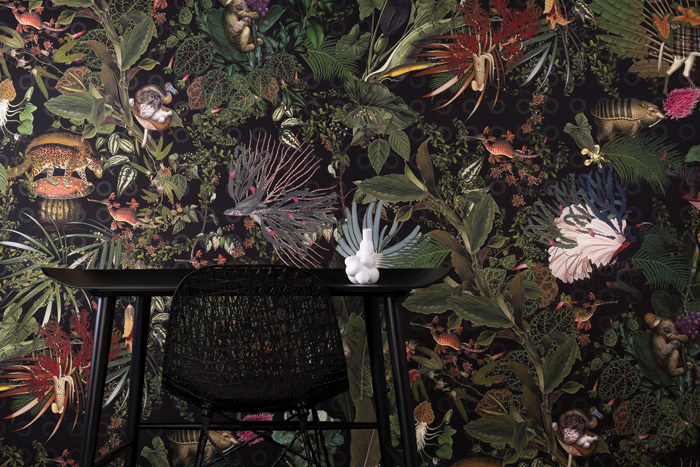 Celebrating 10 newly discovered drawings of extinct animals by artists in the past, the wallcovering pays homage to the animals, concealing them amid the digital jungle print. 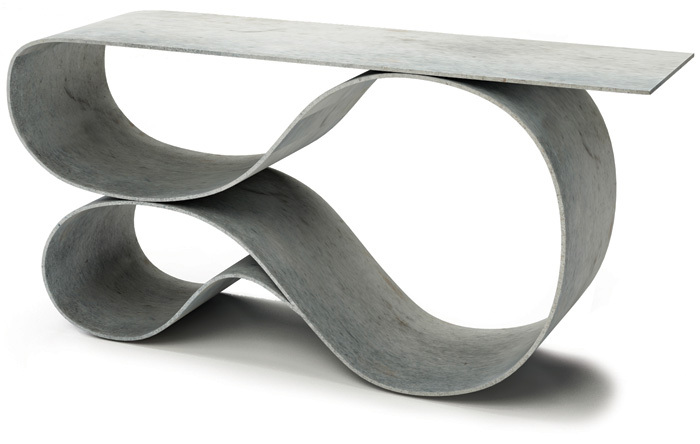 Made from Concrete Canvas, a patented concrete fabric, the Whorl Console has a presence as both sculpture and functional furniture. The design challenges the heavy and harsh connotations of concrete while presenting a unique combination of a visual and practical piece. The pigmented cement is sanded to a very smooth, highly polished finish with a rich, luxurious patina.